Looks like I will be found guilty for an inappropriate relationship. The investigation is still on going. My commander called me and stated he was giving me a relief of cause NCOER. Besides the Relief for cause NCOER it looks like I will be receiving a GOMAR as well. I'm already trying to fight the GOMAR to try and keep it locally filed. My concern is the relief of cause NCOER. Can I get it even though I've never been counseled by either the rater or senior rater? Should I refuse to sign? Rebuttals it? Commanders inquiry? Yes you can still get a relief for cause. They do not have to prove you guilty of the inappropriate relationship. If the commander has lost confidence in your ability or if the inappropriate relationship and/or the perception of an inappropriate relationship reflects poorly on the Army and/or adversely impacts morale and welfare of the unit you may be relieved. The only thing your signature indicates on the evaluation report is that you have verified all administrative data. It does not reflect your agreement with the ratings or comments. If you plan to appeal the NCOER then you might was to consider not signing the report. Keep in mind if you refuse to sign the report the command will simply enter the phrase “Soldier refused to sign” or words to that effect. 4-7h(4) It should be noted that the rated Soldier’s authentication in part II of an OER or NCOER verifies the information in part I. It also confirms that the rating officials named in part II are those established as the rating chain and authenticates the accuracy of the APFT and height and weight entries made by the rater. Appeals based on alleged administrative errors in those portions of an evaluation report previously authenticated by the rated Soldier (parts I, II, and III, block a) will be accepted only under the most unusual and compelling circumstances. 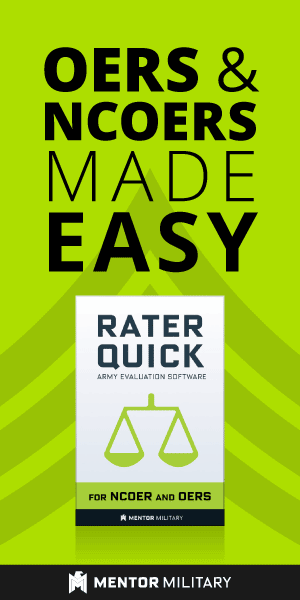 The rated Soldier’s signature also verifies that the rated Soldier has seen a completed evaluation report. Correction of minor administrative errors seldom serves as a basis to invalidate an evaluation report. Removal of an evaluation report for administrative reasons will be allowed only when circumstances preclude the correction of errors, and then only when retention of the evaluation report would clearly result in an injustice to the Soldier (see fig 4–2 for an example format for a request for minor administrative correction; see DA Pam 623–3 for an example memorandum format for an administrative appeal). Let’s talk for a moment about the relief for cause report. AR 623-3 states you must be given 30 days to correct your substandard performance. However this 30 day period can be waived by the 1st General Officer in the chain of command. Is the waiver required in your case? If so has the wavier been obtained (I believe it will be attached to the relief for cause report)? 3-55f. The minimum rater and senior rater qualifications and the minimum rating period are 30 rated days. The fundamental purpose of this restriction is to allow the rated NCO a sufficient period of time to react to performance counseling during each rating period. Authority to waive this 30–day minimum rating period and rater and senior rater qualification period in cases of misconduct is granted to the first general officer in the chain of command or an officer having general court-martial jurisdiction over the relieved NCO. The waiver approval will be in memorandum format and attached as an enclosure to the NCOER (see para 3–35 and fig 3–3). 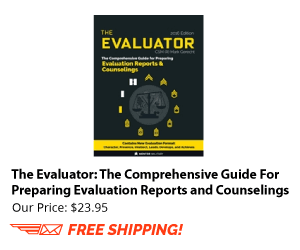 To appeal your evaluation report see Chapter 6 of AR 623-3. With regard to your GOMAR see your local JAG officer. If you are being relieved as a result of an AR 15-6 investigation there are certain rules that must be followed in this process. 3-55c. If a “Relief for Cause” report is contemplated on the basis of an informal AR 15–6 investigation, the referral procedures contained in that regulation will be followed before the act of initiating or directing the relief. This does not preclude a temporary suspension from assigned duties pending application of the procedural safeguards contained in AR 15–6. A “Relief for Cause” report will be the final action after all investigations have been completed and a determination made. Can I use a mat when I take my PT test?Can I use a mat when I take my PT test? How Does the Promotion System Work and W...How Does the Promotion System Work and Why Haven’t I Been Promoted? Does Active Federal Service time in anot...Does Active Federal Service time in another branch of service qualify for the the AGCM?